It never rains but it pours: the Tax Reform directly affects the poor, says the Congressional Budget Office. It’s not just Democratic tantrums: the negative effect that Trump's tax reform will have on the lower income population in the United States is an almost palpable reality. We said it loud and clear: the Republican fiscal reform is a design with very narrow social outlooks. But to corroborate this, the Congressional Budget Office (CBO) has issued a statement on November 26 where it makes clear the recommendations for reconciliation in the Senate Finance Committee. The analysis is very simple: while the Senate Republicans' tax bill grants substantial tax cuts and benefits to Americans who earn more than $ 100,000 a year, the poorest citizens will not receive such a generous piece of the pie. According to the Washington Post, Republicans are "aiming for the entire Senate to vote on the tax bill no later than this week," but the CBO’s analysis could complicate the plans. “The CBO also said the bill would add $1.4 trillion to the deficit over the next decade, a potential problem for Republican lawmakers worried about America’s growing debt,” the Post says. 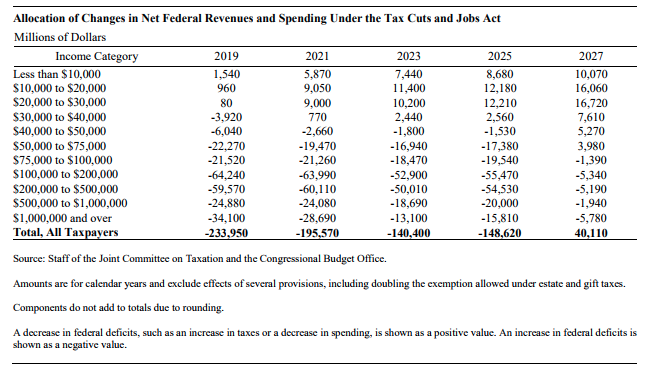 The Office of Congress projects not only an increase in the deficit but, through the reduction of taxes to businesses and many individuals, will also radically change health coverage, which will profoundly impact the families with the lowest incomes that will see cut the government subsidies for health care. According to the report, by 2019 families or individuals who earn less than $ 30,000 a year will be in the worst economic position; by 2021, those who earn less than 40,000 will be net losers and by 2027 most people who earn less than $ 75,000 a year will be worse off. On the contrary, the millionaires and those who earn between 100,000 and 500,000 dollars a year will benefit from the cuts at the expense of the former. In addition, the CBO projects that health coverage premiums will increase upon approval of the law, leaving 4 million Americans without medical coverage by 2019 and 13 million by 2027. What happened this week with the Republican Tax Reform?